Racks and knob-encrusted modules and wires tangling together to make sound – this is a perfectly lovely thing. But the computer sitting in front of you, the one you probably turn to when it comes time to record and produce, is also capable of vast sonic powers. Why force a choice between the two, when that machine can let you explore the frontiers of sound, too? 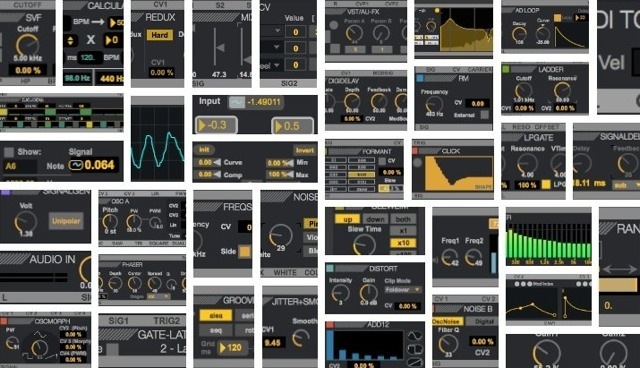 The recent announcement of OSCiLLOT brought open-ended patching to Ableton Live users. But it’s only getting started. Today, we get to see it evolve, learn to use it to make the sounds we imagine, find out about the development process, and better understand why it matters. OSCiLLOT versus Max 7. First off, let’s clear up some confusion. Cycling ’74’s Max/MSP recently brought its own modular environment to the table, by bundling Max 7 with stretta’s modular patch library BEAP – the feature I called one of the best reasons to upgrade to Max 7. And so some readers assumed that this means OSCiLLOT is redundant. It’s not. If you’re using Max directly for patching, BEAP is still a great environment – one that can help you learn modular synthesis techniques, make some great sonic creations, and connect to outboard gear. Co-creator Nico Starke notes that the philosophy of OSCiLLOT is a bit different, as well, architecturally speaking. I think Oscillot is indeed more tailored to making music. One aspect that is maybe not so obvious at first glance is that many BEAP modules are very large, which makes it a bit tricky to navigate around in a larger patch. Oscillot modules are a bit more optimized in that regard. All of this, Nico says, added up to four to five years of work. “I took very long breaks in between, but it all started quite some time ago,” he says. To integrate OSCiLLOT with your modular rig, as with any software/modular integration, you need a DC-coupled audio interface so you can wire your audio interface to your gear. Basically, just about anything MOTU will work, plus the superb RME FireFace and Apogee Symphony. But so, too, will various cheaper options, including Alesis, so if you weren’t planning on investing in a higher-end option at the moment, you still have choices. But where should you learn more about synthesis? Christian from Max for Cats has some tips for us on that, too. For learning this tool specifically, he tells us, “Reading the Quickstart lesson, trying to understand the examplesm and watching the tutorials seems to me a good start.” But brushing up on the basics is never a bad idea for any of us. OSCiLLOT is without comparison in the Max for Live world – nothing else can do six-voice polyphony, proper undo, and real-time patching in one modular tool. But there are comparisons worth making in the realm of plug-ins. My guess is, if you’re comfortable with Max, you’ll gravitate toward OSCiLLOT; if not, it’s more likely you’d choose one of these other tools.